I begun my search and let me tell ya there are endless possibilities of spice containers out there...like magnetic ones that can be stored on the fridge. I chose the round lidded spice jars from World Market, they are the perfect height for my drawer, are airtight and the mouth is wide enough that I can fit a tablespoon into it for easy measuring...and they are very inexpensive at $1 a jar. I relocated my spices to the top drawer next to my stove...they use to be in the cabinet and I had to play the shuffle game everytime I needed to find something. Having them in the drawer I can see everything I have and they are easy to reach. 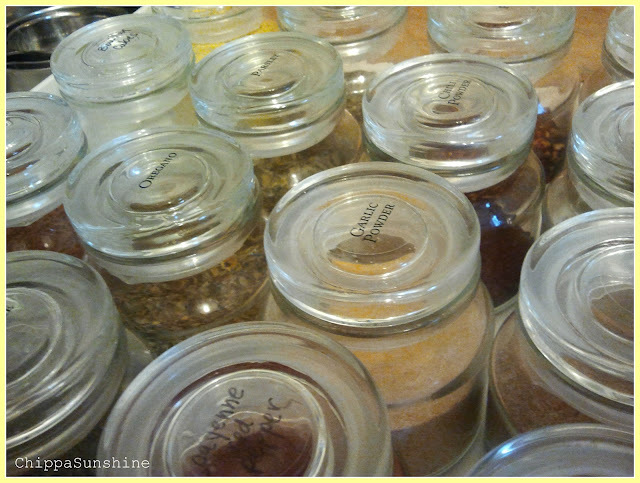 Well here's my little play by play...I first went through all my spices. I had many duplicates and some were old and dried up. 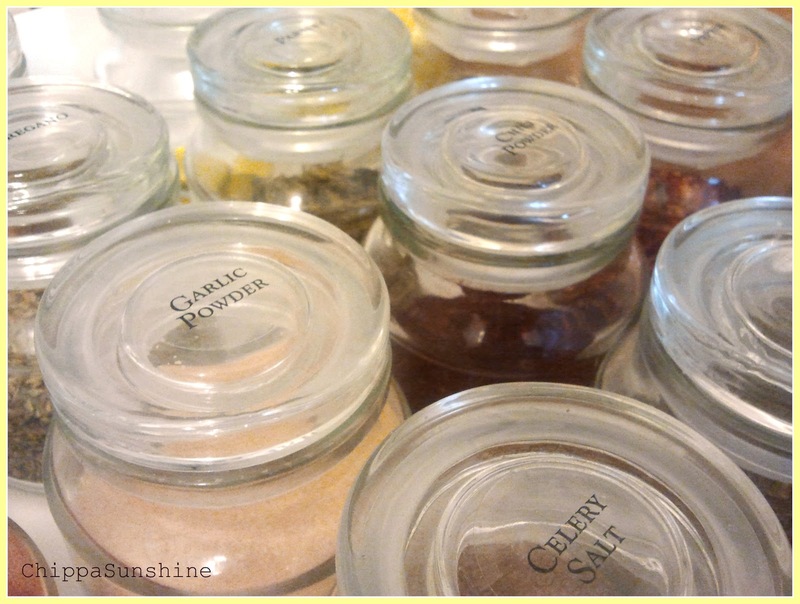 I affixed each jar with these pre-printed clear labels from The Container Store. The only problem was that all spices aren't listed but they do include blank stickers that you can write on. 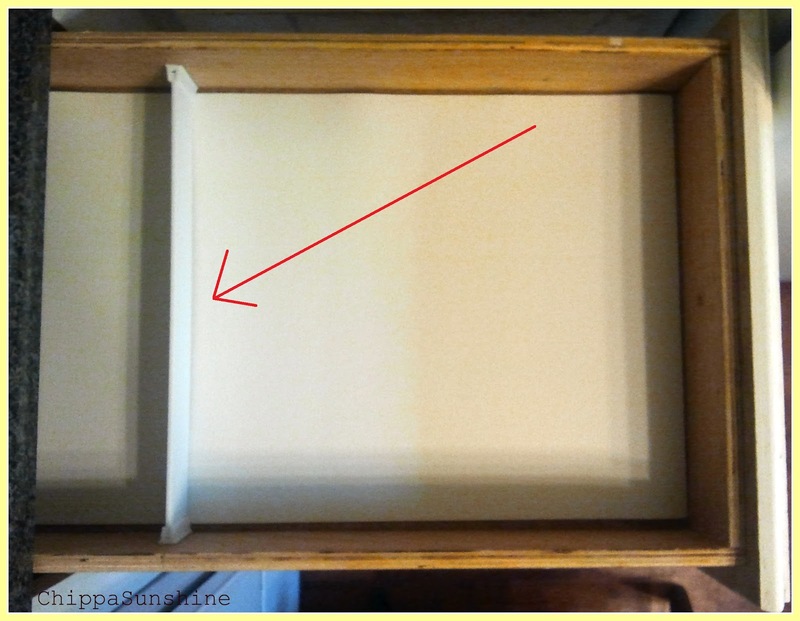 I decided to tweak my drawer a little since everytime I opened and closed it the jars slid around (I don't have enough to fill the entire space) and this bothers me. So off to The Container Store I went to find a solution. I bought the 2" drawer dividers and you can completely customize any drawer to your liking with that product. I just added a single strip across the back. As you can see in the above pic, I also added a drawer liner. I am not sure if I quite like this little addition. One day I went to use the salt and realized that it was the garlic powder. What? Who did this? And why? 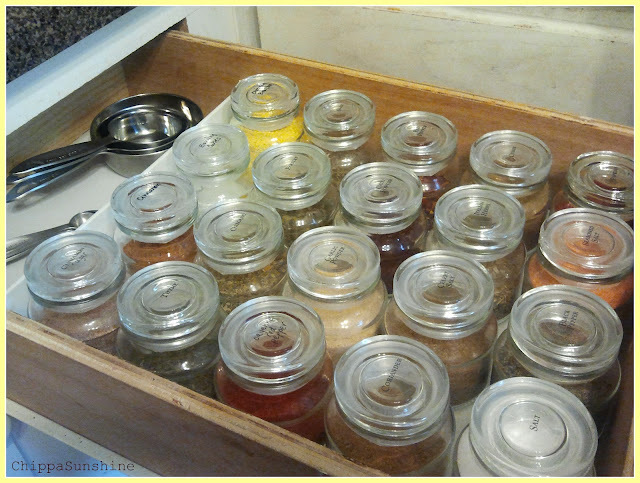 Well 'my baby' my 4 year old baby had been playing in the drawer, having a good ole time switching all the spice tops around and not just one but all...that boy keeps me on my toes. 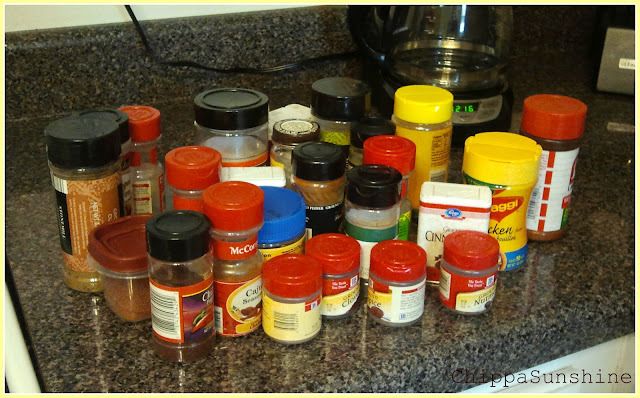 He has only did it twice but it is a pain trying to go through all the spices and play guess who. :0 See you soon! Great job! Love the clear labels.